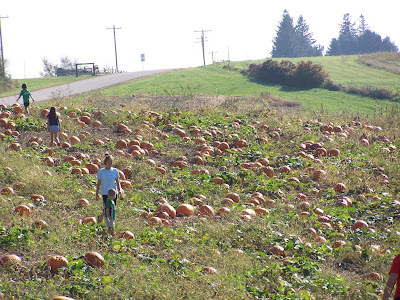 October is here and the pumpkins are being harvested. I like to make pumpkin pies or pumpkin bread, but my favorite it to carve them up for Halloween. Local folks can either buy them at nurseries, roadside stands, or pull them out of the pumpkin patch by hand. 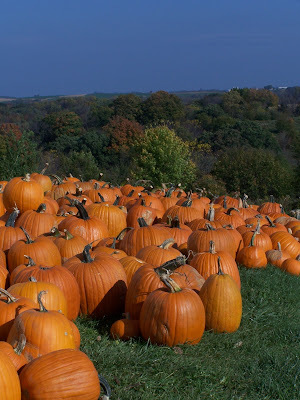 Only in the Midwest can you find a pumpkin and gourd stand along a road with a sign that says “Pumpkins…$2..please put money in cash box”…the Honour System, you have to love it.